Asia Heptathlon champion Swapna Barman in file photographs. 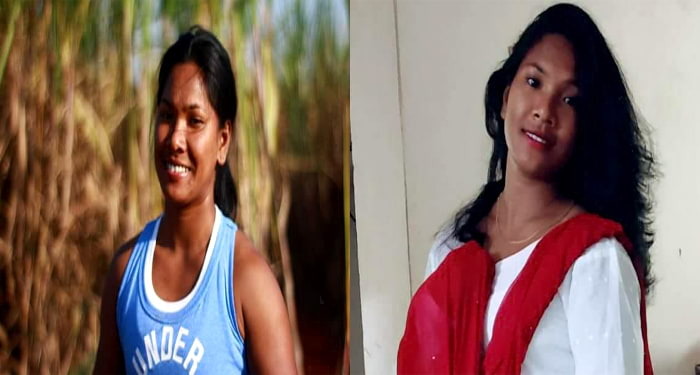 Siliguri: Kaliaganj, a village situated 6-km off Jalpaiguri town in north Bengal, is all up in joy with its girl Swapna Barman (21) winning gold at the Asian Games 2018 at Jakarta in Indonesia today. Barman, the daughter of a rickshaw-puller father and tea worker mom, is the first Indian to win gold in heptathlon at the Asian Games. The 21-year-old golden girl from Jalpaiguri logged 6,026 points from the seven events to become the champion. As soon as the television channels flashed the news of Barman winning gold, Ghosh Para locality at Kaliaganj village where her house is located, burst into celebrations. 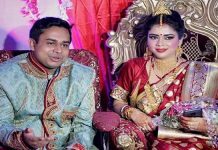 Neighbours came rushing to congratulate her mother Basana Barman and father Panchanan Barman, who has been off work since he suffered a stroke in 2013. “We all have been praying to God for Swapna’s success and now that she has become the Asia champion, we want her to become world champion as well. But for survival and to pursue her dream, she now needs a government job,” said her mother Basana. “We have not been able to speak to her as well. 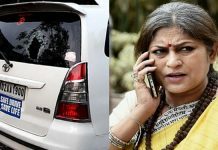 We are waiting to call her up once she returns to the hotel room from the stadium,” the proud mother said recalling that there have been many occasions when Swapna went to practice having half or even no meals. 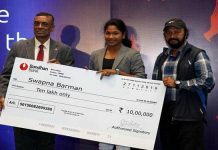 Barman, who had come first in heptathlon at the 2017 Asian Athletics Championships held in Bhubaneswar, has been supporting her family of parents and three siblings with the prize money and cash awards that she got. She is a postgraduate student of physical education at the Calcutta University and trains at the Sports Authority of India centre in Kolkata. Chief Minister Mamata Banerjee has congratulated Barman in her feat. “Heartiest congratulations to @Swapna_Barman96 our heptathlon queen from India and Bangla, on winning the gold at the Asian Games. You have made us very proud,” she has tweeted.